For twenty years the SVD missionaries spared no efforts to carry out faithfully their mission to spread the Gospel and build up Christian communities through pastoral service and through educational programs. In the early eighties came the time when the conversion boom decreased and the growth process seemed near a standstill. Taiwan had developed from an agricultural into an industrial society with a flourishing economy. Those who formerly had been uprooted and disoriented, had been integrated into the developing process and felt comfortable with it. The services of the Church in terms of welfare and charitable contributions, which had made her so attractive to many potential believers in the years after the war, were partly taken over by government institutions. Material prosperity seemed to be the immediate goal that kept the every day citizen busy. A need for spiritual balance was not felt to the point that the Catholic Church with her services was considered of great help. Besides this, the other religions, especially Buddhism, also came out very strongly during these years to offer material help and spiritual orientation. The SVD missionary apostolate with its personnel and institutions began to reconsider its involvement in Taiwan and set new priorities, find new ways of executing its missionary vocation and see how to use its present institutions (pastoral and educational) most suitably. One big problem the Society was facing was the shortage of personnel. The old missionaries, those working in the parishes as well as those teaching in the schools, had dropped out one by one. Some passed away in Taiwan, some returned to their home country. Vocations from Taiwan were, despite all efforts of the vocation director, rather scarce: five Taiwanese made it to the priesthood with two from the aborigine Tsou tribe. One of these, Fr. Barnabas Kao, unfortunately was hit during a typhoon in 1994 and died instantly. The other one, John Yang, distanced himself from the Society while getting too much involved with politics. From Europe and USA no new missionaries could be expected. However in the Asian provinces of the SVD (Philippines, Indonesia, India), there were plenty of vocations among whom the province could recruit. Since Taiwan could offer missionary challenges and the encounter with a great culture, there were enough applicants for Taiwan among those who were making their final choice before perpetual vows. In 1980 the SVD　started the so　called OTP　(Overseas Training Program). The provincial sent a letter to all SVD provinces and invited them to send to Taiwan seminarians that had finished their philosophy studies for a two years course in Chinese culture and language with the option to commit themselves to work as missionaries in Taiwan or in other parts of the world where there were Chinese communities. The response was overwhelming. In Taishan an apartment was bought where these seminarians would live together and take daily classes at the language center of Fu Jen University. Although there were dropouts, over 50% persevered and are now already working in the mission or at the SVD schools here or abroad, or are for the time being pursuing higher studies. In the South the SVD continues her commitment to the local church within the definition of the contract that had been drawn up with the Diocese of Chiayi in 1960, According to a later agreement with Bishop Joseph Tikang, this contract is automatically renewed as long as neither side asks for a change or its termination. In 1995 the Cardinal Tien Memorial Church was built as a resting place for the late Cardinal. He had died in Chiayi on the 24th of July 1967 and was buried temporally behind the St. Joseph the Worker Parish. Now his remains were transferred to the crypt of the memorial church. This church, which is at the same time the St. Joseph The Worker parish church, is widely admired for its unique design, done by Fr. Anderson, a young SVD priest, who had been an architect before he entered the SVD. In Alishan, a new center was built in 1983 on a piece of land provided by the Forestry Administration. The center is dedicated to St. Fr. Freinademetz. It serves as place for rest and meditation for the many tourists visiting Alishan. An SVD, who is in charge of the center, is always ready to introduce the visitors to the Catholic Church and the SVD. In Fenchihu the clinic was taken over by the SSpS Sisters with Sr. Victoria caring for the sick, later succeeded by Sr. Edmara. In 1988 the original shaky and worn out facilities which had served Fr. Pott as operative base for his missionary activities for over 20 years, gave way to a beautiful new complex of buildings, designed and constructed by Fr. Martin Welling, the present provincial procurator of the SVD. It is dedicated to the Founder, Fr. Arnold Janssen. Many groups take advantage of the fresh and cool air of this mountain recreation center with space for 120 people to make retreats or training courses and all kinds of activities, serving Catholic as well as other faith communities. An SVD pastoral team continues the work that was started more than 20 years ago. It supports a two years training program for lay Catholics being carried out by the Diocese. Suitable people from the parishes are being sent to attend the courses. Our SVD priests are also actively participating in the training program. Great efforts are being made to bring Catholics to focus more on the apostolate and intensify their faith awareness as well as their responsibility towards society. Some of the un-used outstations have long been given up. The St. Michael parish in Tainan was returned to the diocese. There is a negative aspect to this - lack of personnel, but also a positive one- the SVD has completed its mission to build up a parish out of a very critical situation into an active and mature parish community. Now it can be handed over to the local Church. The SVD can leave the place and invest its personnel in areas less developed. Something like this has happened in Taipei, where the SVD took over the parish in Linkou, at least temporarily. Here Fr. Suo, three years ago assigned as pastor, with the help of young confreres in formation from Fu Jen University and SSpS sisters and the enthusiastic cooperation of the Catholics is putting great efforts into forming a lively and growing church community. In Kaohsiung the former ADAM SCHALL HALL was also as no longer serving our missionary apostolate to the full. The SVD presence in Kaohsiung has continued with the assignment of Fr. Paskalis Bako, a young priest from Indonisia, as parish priest of Christ the King Church in Fengshan. The local Chapter in 1999 stressed its determination that the SVD not only keep its presence in this big city, but also even strengthen it by assigning new personnel for Kaohsiung as soon as possible and build up a community there. In the mountains we continue our commitment to the aborigines in their search for identity and means of survival. The SVD has also continued to support educational programs for aborigine students.? The concern for a healthy environment and the stress on preserving nature is another aspect of the commitment of a modern SVD missionary. Here we also have an example of how the university can work together with the missionary in the bush and how this issue gives an opportunity to the missionary to participate more directly in the daily life of the village through his animation and spiritual support. 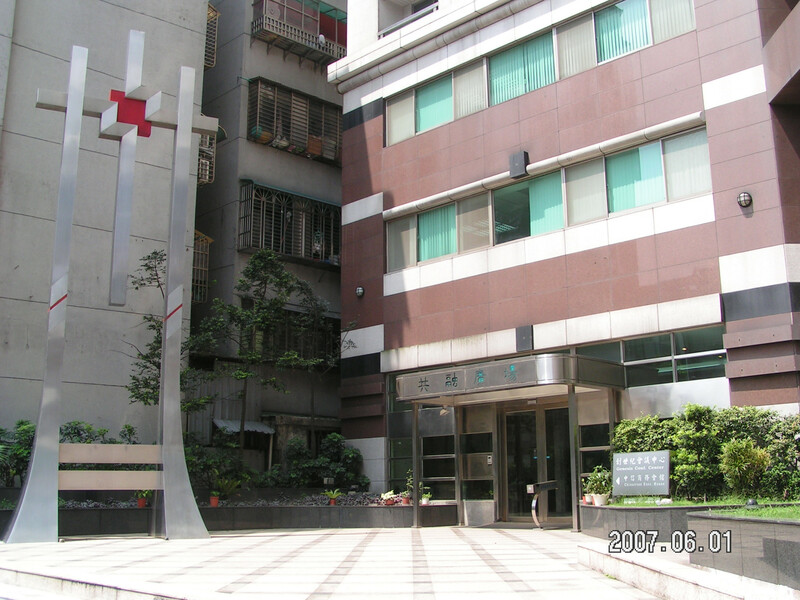 In 1997 the Department of Applied Life Science of Fu Jen University had accepted a project for the conservation and care of the natural environment from the Ministry of Environmental Protection. This project was very special because it was the first of its kind to be performed in a remote mountain area. It turned out to be a full success. The Minister even personally visited the village of Tefuye, which is also the center of the Catholic Mission, to express his satisfaction over the good progress of the project and the cooperation of the people. Prison Ministry is another new impetus to an old missionary task in which the Catholic Church and the SVD has become very active in recent years. Fr. Hung, the principal of Fu Jen High School is the national chaplain of Taiwan and with his staff from the pastoral office of the school, is responsible for the organization of all activities with regards to this ministry. He also has regular training courses for Catholic lay volunteers who recognize a charisma for this kind of service to modern society. The rapid development of society in Taiwan has created a tough challenge for Fu Jen University and its educational efforts. Scores of new universities are being opened. Fu Jen Catholic University's public evaluations have gone down. Although still being ranked in the middle of the list of private universities, it is considered to be very dangerous if this trend is not soon halted. What once was a special characteristic of Fu Jen University, its federated administration, now seems more and more to be the reason for this critical situation. The school is not flexible and fast enough in reacting to new challenges. The president has not enough power to decide important matters, which concern the school as a whole. The SVD Section is in a particular difficult situation since the departments in the sciences need much more money for instrumentation, and those in the Foreign Languages need more for salaries because they have to teach in smaller groups to be effective. In principle a simple change in structure would be possible, and the Board of Trustees is planning in this direction. On the other hand, it is also true that by the federated structure with each Section being run by a religious group it is easier to maintain the Catholic character of the University. On Dec.8, 1999 we celebrated the 70 anniversary of its founding (1929 in Beijing). The celebration was led by Cardinal Paul Shan, Chairperson of the Board of Trustees, and the University’s president, Dr. Peter Yang Tun-Ho. On the occasion of this anniversary the Pontifical Council for Justice & Peace held an East Asian Regional Seminar at Fu Jen University from Nov.21-23 with the topic: "The Human Person as the Foundation of Human Rights." The seminar dealt with immediate challenges to human rights in the region with themes on globalization, social dimensions, debt relief, migrant workers' rights and the Church's social involvement - all matters of great concern which an SVD modern missionary will identify himself with in the context of Taiwan. In Tapinglin recent changes were the biggest and most dramatic. The huge girl's dormitory has disappeared and the whole area has been remodeled. Even the church was to give way to the new building project, which was to provide the parish community with a new place for their prayer services and for their parish activities. But due to strong opposition from the parish community, the original church building was preserved. The planning and construction phase, starting from 1992, took eight years to its completion. The buildings as such consist of one main building with three towers, the "A-building", and "B-building", each 24 floors high, and the "C-building" with 14 floors. The whole project can be divided into four parts: 1. The SVD offices and residence, 2. The Genesis Conference Center, 3. The One World Community Services Center, 4. Apartments and parking lots. After a slow start things are beginning to fall in line with our newest missionary endeavor in Taipei. The Genesis Conference Center in October 1999 welcomed its first international conference, namely the annual meeting of the Catholic Communicators in Asia. The One World CommunityServices Center already is offering courses for the general public like English, Yoga, Dancing, Painting, Cooking etc. For elderly people twice weekly gatherings have been organized for sharing, learning and entertainment. For handicapped people a free course is offered in Chinese painting. There are free monthly lectures with different topics, like dealing with emotions, human relations, etc. The Center is still not well known, but the first reactions are very positive. With the help of the parishioners the SVD hopes to render a real Christian service to the different needs of the people in this neighborhood of Taipei. In this way the Word of God will certainly take root in the hearts of those people whom God has in mind.